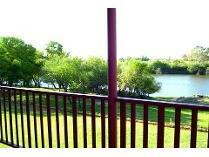 This lodge is a lovely country venue situated next to the vaal river just 25km outside of potchefstroom on the r501. The amazing view and river front of the vaal river makes it a perfect place for weddings or weekends away from the city life. Lodge has the facilitates of a a chapel and two halls for a number of different occasions. This lodge boasts a huge open ground and all sorts of team building, sports, fishing and activities can be provided. It is perfect for a short or long break away from city life. This resort consists of 2 honeymoon suites2 tent houses16 chaletswe have chalets with small differences to cater for various family sizes and requirements. All chalets feature open plan kitchens with stocked kitchens and braai are. Some chalet are close to the river and have a beautiful view. Camping sites34 camping sites with power and braais with grill and clean ablution blocks with showers and baths. Washing and laundry facilities are behind the ablution blocks. Light illuminate the camping area. Activitiesbig swimming pool with children's poolwater slidefoefieslide for big and small kidstrampoline for children and adultsplayground with swings and climbing frame18 hole miniature golf - stick and balls available in the tuck shopvolleyball courtother teambuilding activitiesfly fishingpoolput-putpicnickingcoffee housebottom hall - 120 gueststop hall - 250 guestschapelbeautiful chappel with 80 wooden seats. Phone today for the best choice you can ever make!